Skin Revealing Body Lotion 10% AHA is a creamy yet lightweight leave-on AHA exfoliant that supports the natural exfoliation process of your skin, ridding it of excess dead skin from the surface. It not only beautifully hydrates skin and softens dryness but also significantly improves the appearance of hard, clogged pores on the arms and legs. The creamy, antioxidant-rich formula leaves skin feeling thoroughly hydrated and nourished, and goes beyond to gently exfoliate and visibly improve uneven skin tone and texture with a 10% concentration of glycolic acid. Antioxidants like vitamin C help visibly brighten skin, while the glycolic acid aids in softening the appearance of bumps on the arms and legs. Within the first few applications, your skin from the neck down will feel completely renewed, supple and firm, more than you could have imagined. This exfoliant has a pH range of 3.5-3.9. All Paula's Choice products are 100% fragrance free, non-irritating, and never tested on animals. PACKAGING MAY VARY. SKIN PERFECTING 8% AHA Gel is a completely non-abrasive, leave-on exfoliant that gently and naturally helps shed built-up layers of dead skin, just like your skin did when you were younger. This unique formula revitalizes skin's surface, creates noticeable radiance, smooths the appearance of wrinkles, and makes your skin look and feel remarkably soft. SKIN PERFECTING 8% AHA also helps keep skin hydrated. With ongoing use, it can help promote firmer-looking skin. 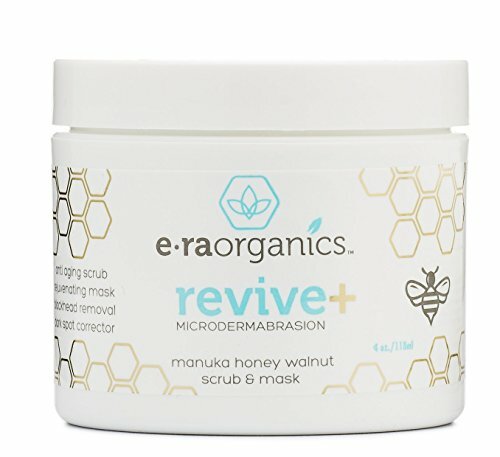 It combines the exfoliating benefits of glycolic acid with a sheer weightless gel formula that provides long-lasting hydration and dramatically improves the smoothness of skin. It also contains skin-soothing plant extracts and antioxidants. In addition, you'll experience a more even, brighter skin tone and a feeling of firmness. This exfoliant has an optimal pH range of 3.5-3.9. All Paula's Choice products are 100% fragrance free, clinically proven to be non-irritating, and never tested on animals. Forget your daily stresses and indulge your senses, nourish your body and experience heavenly bliss with Fresh and Natural Sugar and Shea Body Polish. 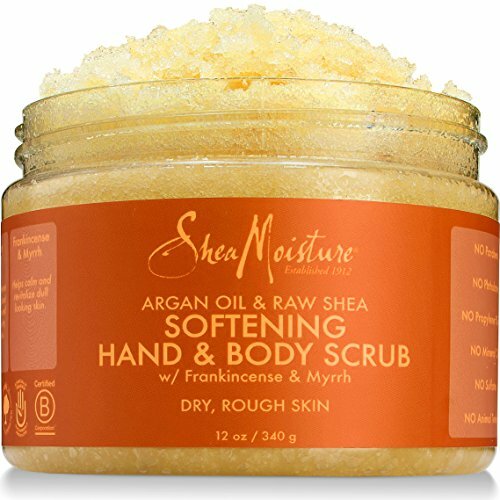 A luxurious blend of pure cane exfoliating sugars and rich body moisturizers. Shea butter, Safflower Seed Oil and Vitamin E fortify this Paraben Free luxurious experience. Delivers exceptional nutrition and moisturization to dry, aged and tired skin. Helps reveal a more youthful radiant appearance. Excellent for ultra sensitive skin. Great for use during pregnancy and to aide with stretch marks. 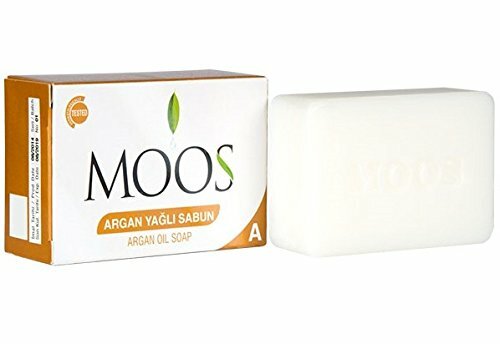 MOOS Argan Oil Soap is a great antiaging & moisturizing face & body wash soap rich with vitamin A and vitamin E, packed with antioxidants, omega-6 fatty acids and linoleic acid. When applied to skin, argan oil soap helps ease inflammation while moisturizing the skin. When applied externally, trocopherol from the vitamin E helps to boost cell production while promoting healthy skin and hair, acts as an anti-aging agent for hair and skin. Our therapeutic at-home spa exfoliator sets your skin aglow with an expert blend of Dead Sea salt, the ancient purifying scrub and Jojoba, Olive and Safflower oils—nature’s softeners. Deeply remove dull, tired skin to bare your inner beauty. Never harsh, easy to rinse, and great for all skin types.